Happy St. Patrick’s Day from/with Peace Tree Brewing/Tacopocalypse! Oh man, it has been a cray cray week here at the Tacopocalypse camp! (so cray cray that this post didn’t get written until today) Spring has sprung, albeit a little early, and the Taco Lovers are demanding that we are in more and more places, and we have been obliging as much as possible…to the tune of almost every day this week. AND WHAT DOES THIS WEEK END WITH? 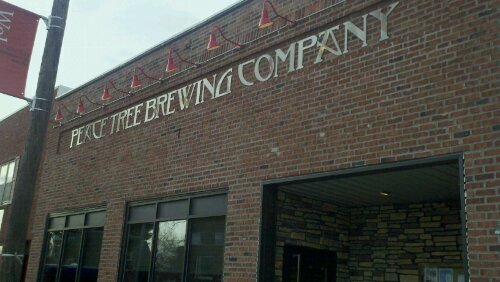 A PEACE TREE BREWING ST. PAT’S AND ANNIVERSARY PARTY! It’s true, in just a few short hours Taco-lips will be descending on the Peace Tree Brewery in Knoxville, Iowa for some of our chef’s favorite beers and your favorite tacos. It’s like a WIN x Infinity kinda situation. we will see you tonight…. This entry was posted in Uncategorized and tagged awesome, beer, Brewing, David Lee Froth, iowa, knoxville, Peace Tree, tacos. Bookmark the permalink.